Is the agenda as presented here complete? Can it be complete? The answer to both questions should be no for several reasons. First of all, creating the agenda has taken many years due to the organizational workflow with organizations like the ICA. Second, the technology push is stronger than ever and new hypes pass by every few months. However, some hypes prove to be of structural importance, so even when an hype some attention is required. An example is the Google Earth/Maps type of developments. Another ‘hype’ not found in the agenda, but picked up by some Commission and Working Group activities is for instance related to Web 2.0. With Mash-ups one can create customized and privatized maps. In combination with other Web 2.0 facilities such as wiki’s, blogs, photo sharing, podcasting, social software like facebook, folksonomy and (geo)tagging, as well as RSS feeds users contribute to the collection of georeferenced materials available via the web. 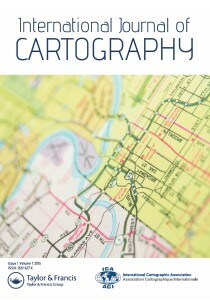 This trend has been ‘classified’ as neo-geography or when we relate it to the maps ‘neo-cartography’. Would it be possible to bring these often informal data collection processes of Web 2.0 together with the formal world of for instance the National Atlas or Topographic Maps, such that both worlds could benefit and one might even think of update via the people? Map design in a neogeography environment will require innovations of the traditional approaches. The strength of maps is their ability to select from reality and abstract the selection via a well designed symbolization. This results in maps that are characterized by their relative emptiness, by visual hierarchy and have a particular appealing style. Both selection and abstraction are challenged by the current Web2.0 products. A challenge among many other for ICA’s Commissions and Working Groups. And these challenges will keep the research agenda alive.